Vatican City (Agenzia Fides) - On May 27, 2007, on the Solemnity of Pentecost, Pope Benedict XVI sent a Letter to Bishops, Priests, Consecrated Persons, and lay faithful of the Catholic Church in the People's Republic of China, providing some guidelines for the life of the Church and the work of evangelization in China in order to help Chinese Catholics discover what the Lord wants from them (cf. 2). In the Letter, Pope Benedict XVI also proposed an eminently spiritual initiative: "the date 24 May could in the future become an occasion for the Catholics of the whole world to be united in prayer with the Church which is in China. 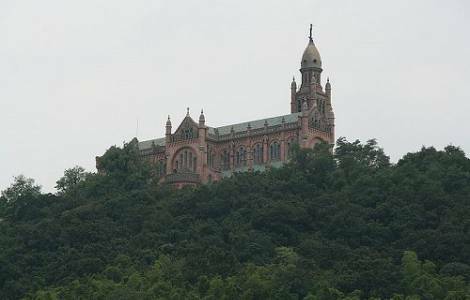 This day is dedicated to the liturgical memorial of Our Lady, Help of Christians, who is venerated with great devotion at the Marian Shrine of Sheshan in Shanghai". Welcomed with enthusiasm and gratitude, for 10 years this Prayer Day is lived not only by Catholic communities in mainland China, especially in the Shrine of Sheshan, but also by Chinese communities present in different parts of the world. Thus, for 10 years May 24 is an occasion to pray in particular for the spiritual harmony with the Church in China, manifesting the universality of the Church and communion with the Successor of Peter. Pope Francis reminded us at the end of the Regina Coeli prayer on Sunday, May 21: "On May 24, let us all join spiritually with the Catholic faithful in China on the feast of the Blessed Virgin Mary "Help of Christians", venerated at the Sheshan Shrine in Shanghai. To Chinese Catholics, I say: Let us look up to our Mother Mary so that she may help us discern God's will about the actual path of the Church in China and support us in welcoming with generosity his project of love. May Mary encourage us to make our personal contribution to communion among believers and to harmony in the whole society. Let us not forget to bear witness to the faith through prayer and love, always open to encounter and dialogue".